Ever wonder what it is like to be part of an ancient tribe? Something that is of the people and for the people. The ancient Romans had the Colosseum. Gaelic Games has Croke Park. A stadium that holds 82,500 when the present-day gladiators of Ireland go to battle. Experience Gaelic Games wants you to have the ultimate ancient games experience. We at Experience Gaelic Games want to make you into such gladiators. Bring you back in time to learn the ancient ritual of training for battle; all in the present game of Hurling. Our games are interwoven into Irish culture and lifestyle. They are a way of life and communities have been battling each other for supremacy since ancient times. Coupled with Gaelic Football and Gaelic Handball you will be cast into the Gaelic World. A world where the pride of your people, your place is as strong today as it was 3000 years ago when the games were first mentioned. Least it be known they are much more than just games. They are a way of life. Imagine someone who walks the same streets as you, breadths the same air and holds the same job as you, are being cast in front of 82,000 people and step back into that simple life again. 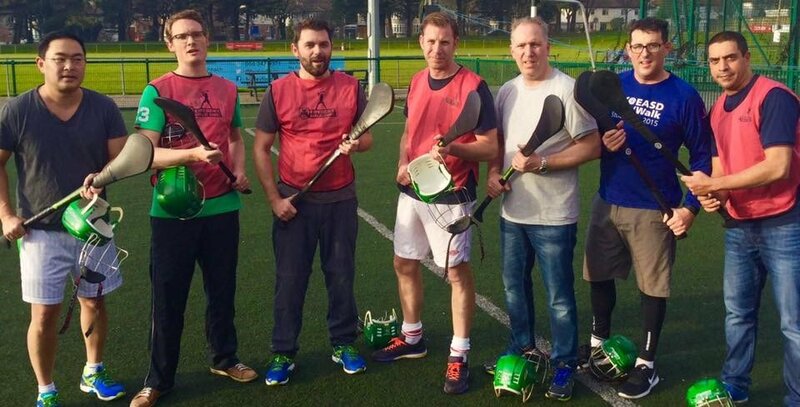 So why not become a Gaelic warrior and immerse yourself in Irelands ancient sporting culture with Experience Gaelic Games – creating a memorial day with a difference in Dublin, Cork or Galway – a day of fun, enjoyment, adventures and steeped in history. Let the ancient games experience begin! So, become that gladiator. 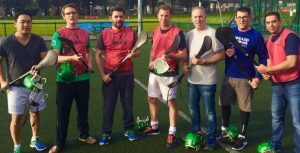 Step into the Gaelic World via Experience Gaelic Games. It’s your day to play! We were group of 'fiftysomething ladies from England, Germany and Holland, looking to try out something unique to Ireland during our visit to Dublin. The hospitality was excellent, and the coach was just perfect, with lots of enthusiasm and patience. We had lots of laughs and just enough gentle excercise to make sure we had planty of fresh air. A super way to experience Irish culture and heritage. well done!